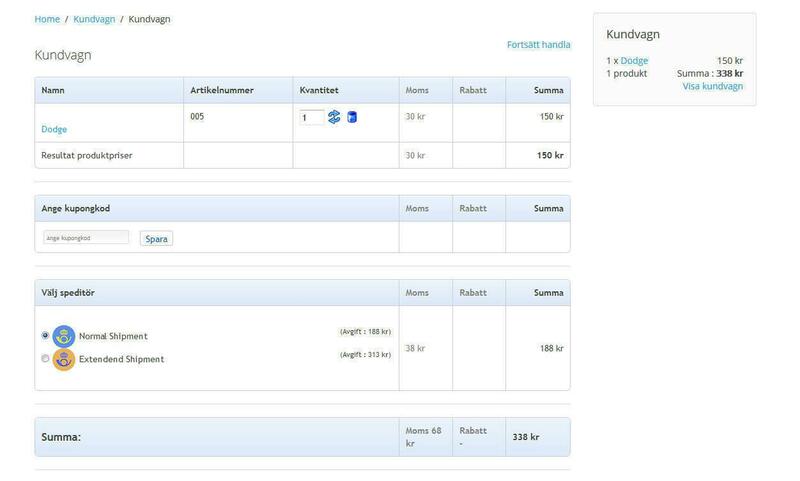 Now, we have developed a new modern cash to Virtuemart and adapted it to Klarna Checkout. With advanced scripting adapts tables / prices at checkout for the right appearance and function depending on the device you are using. Inta just change the appearance but it may completely new feature which hides unnecessary fields and add features to produce these for example a smartphone. It is difficult to explain in text how it works so please go to our new demo http://dev.virtuemart.se/ . Try and make your browser window smaller and / or test it in your smartphone.